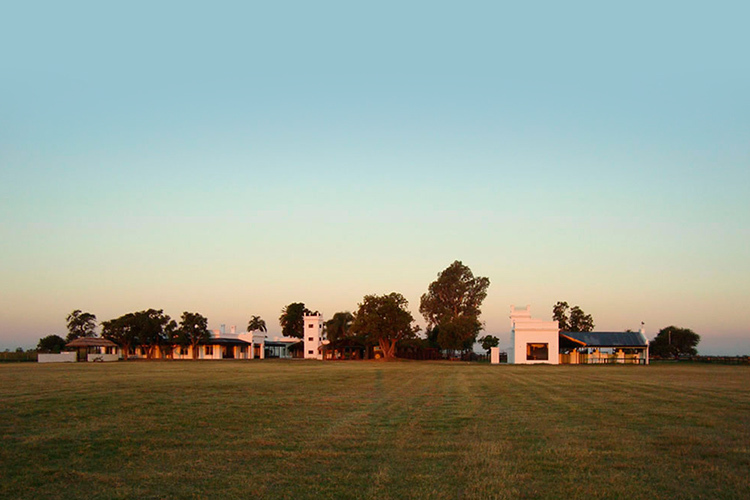 For those who love duck hunting, Golden Duck is the ideal place because, being situated on the banks of the Parana River and surrounded by rice fields always have a large population of ducks. In addition, the season is longer, and this is because special permits for the damage it does to the duck rice crops are given. Depending on the season, the hunt takes place in rice or islands which can be reached by boat. The posts are doubles, so you share the hunt with a friend, and the sets are very nice. The guides are real professionals, who with his callers and decoys (robots Mojo) attract ducks for the enjoyment of the hunter. In this room we can combine duck hunting with golden fishing or fishing varied. This depends on the dates we go, if early season can capture excellent pieces of gold and surubí, and if it is in winter with colder water fishing is varied. 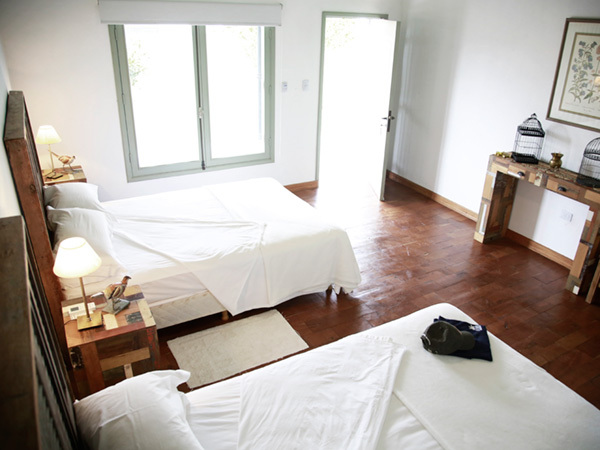 Golden Duck is a stay for the hunter who just wants to hunt duck and not combine with other birds. 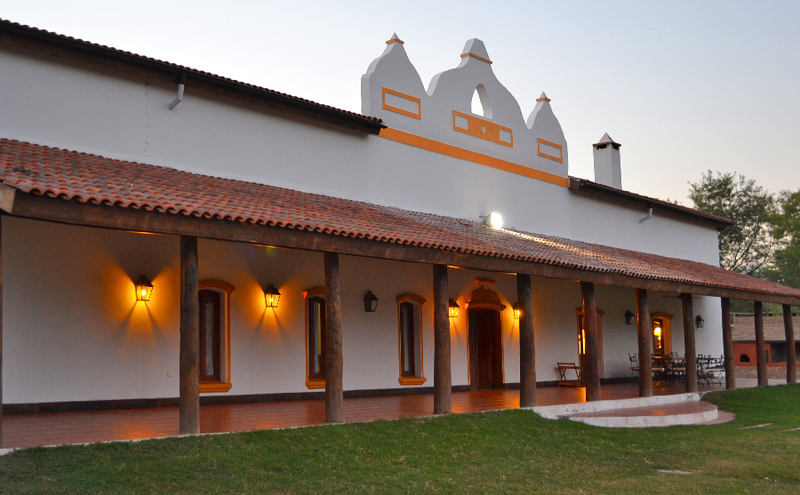 Golden Duck lodge is situated in the banks of the Parana River in the province of Santa Fe, surrounded by marshes and rice fields. 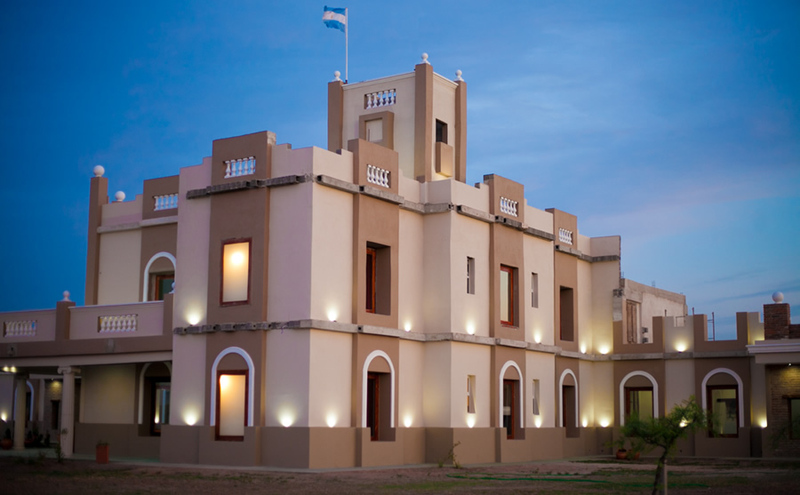 The easiest way to get to Golden Duck is to fly into Buenos Aires, then take a forty minute connecting flight to the province of Santa Fe, where we will be awaiting your arrival. 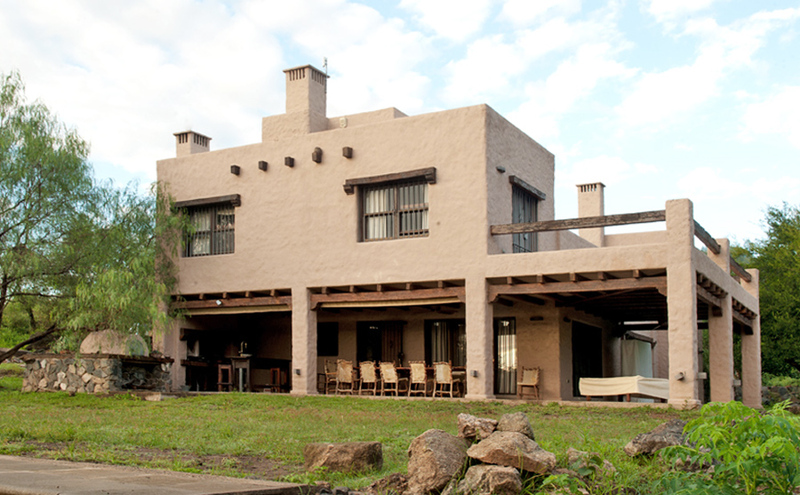 Travel time from the airport to the lodge is approximately one and a half hours. 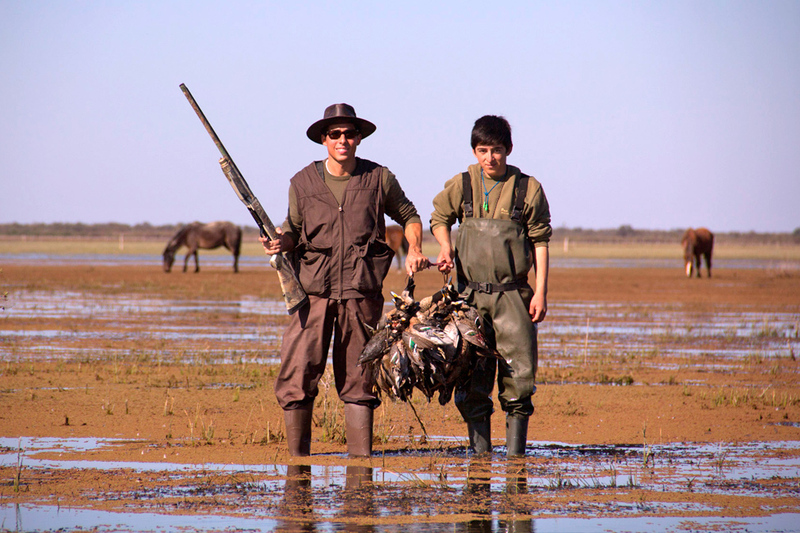 The hunting season in this area is longer since the government issues special permits to hunt ducks in the rice fields in an effort to minimize the damage they do to the crops. Depending on the time of year your hunt takes place will determine whether you will hunt the rice fields or the marshes. A typical hunt day starts with a 5am wakeup call, followed by breakfast, then onto the morning hunt. 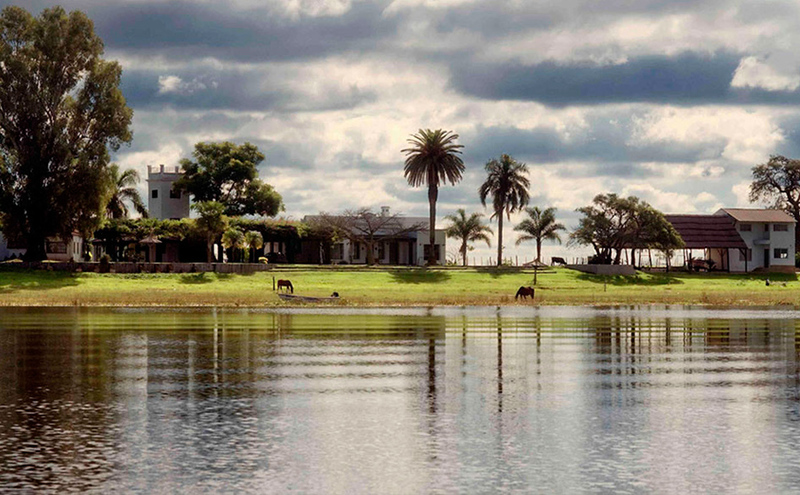 After the hunt is over, we head to the lodge for an Argentine “asado” (barbeque) and a refreshing “siesta” to prepare us for the afternoon hunt. The hunting is done out of two man blinds with the opportunity to shoot several species of ducks with liberal limits. The guides are very experienced with their duck calling and use of motion decoys thus bringing in more ducks to your decoy spread. The Golden Duck lodge is for hunters wishing to hunt ducks only although the duck hunt can be combined with fishing. If it’s towards the beginning of the season, one can fish for “dorado” or “surubi”. If it’s in the winter, when the waters are colder, the species of fish you can catch varies. This is the ideal place for the avid waterfowler. 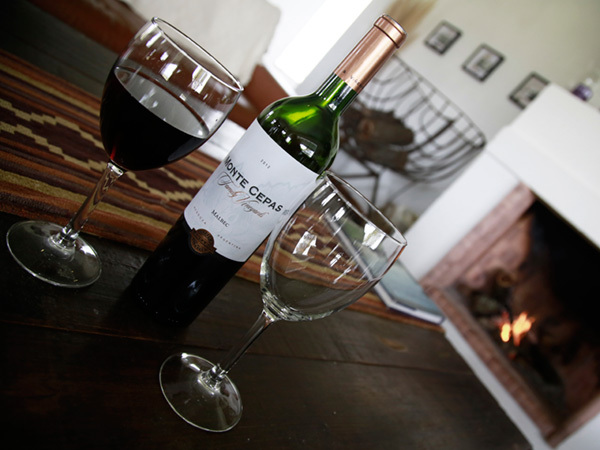 This lodge has six double occupancy rooms with private bathrooms, heating, air-conditioning, open bar, laundry service, gun rental, satellite tv, internet and deliciously prepared Argentine meals. Previous to dinners you will find your favorite drink at the bar with a variety of appetizers. In the mornings, a plentiful and healthy American breakfast will be waiting for you to start your day. 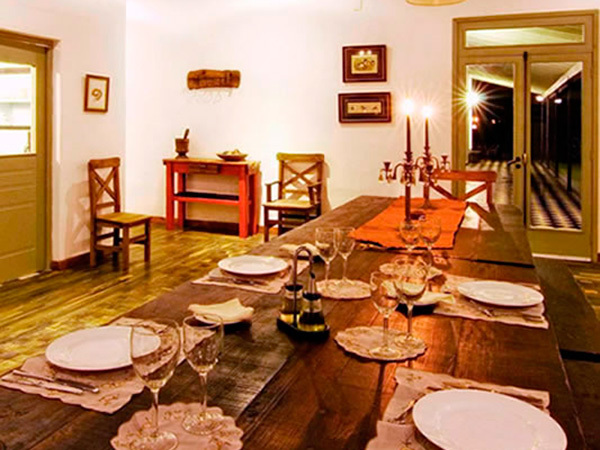 Our kitchen welcomes all the guests who wish to discover the secrets of the regional cuisine.